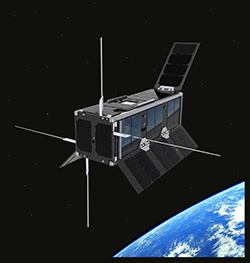 Current planning calls for a satellite bus similar to CubeSat UKube-1 (below) which is currently flying an 18 months mission, after being launched as a secondary payload on July 8, 2014 (15:58:28 UTC) on a Soyuz-2-1b launch vehicle with Fregat-M upper stage from the Baikonur Cosmodrome, Kazakhstan. UKube-1 [UK universal bus experiment -1] was developed through a partnership linking Clyde Space (member of our science team) and University of Strathclyde with the UK Space Agency (UKSA), the UK Technology Strategy Board (UK-TSB) and UK Science and Technology Facilities Council (UK-STFC). 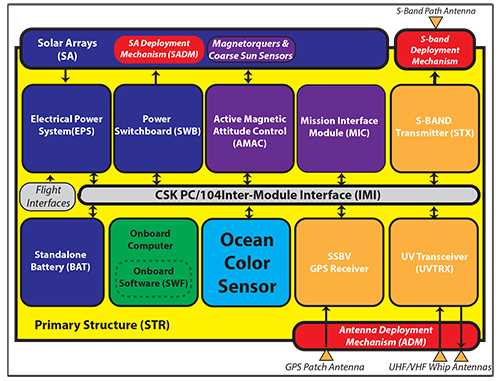 design team and profiting from "lessons learned" from one of the largest vendor of CubeSat parts and systems in the world will maximize the potential for success of the future Ocean Color Mission. In addition, by treating the satellite bus and sensor subsystem as a single instrument package with close coordination between the Sensor Design Team and the CubeSat Design Team will allow us to optimize the design of the satellite bus to meet the power, data handling, storage and transmission demands of the sensor while using space tested equipment and a proven satellite bus. 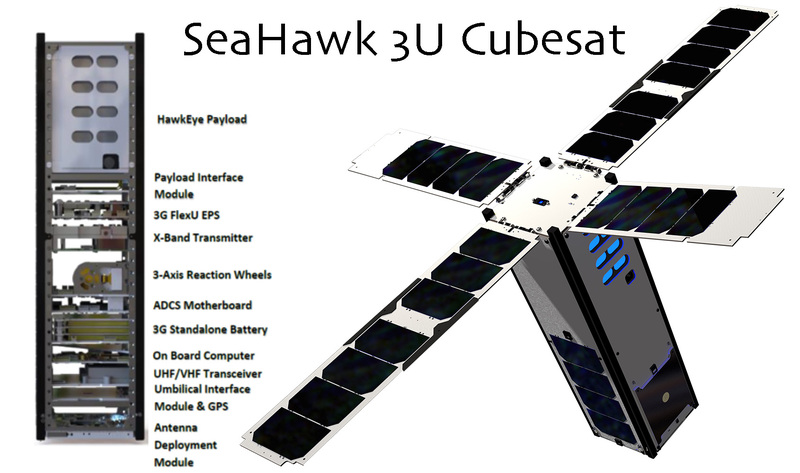 Oberview of preliminary SeaHawk CubeSat components and modular architecture. Missions are some of the most capable CubeSats ever built and enabling high-quality science and advanced communications they are leading the way for future nanosatellite development.